No Sidebar Pro is a unique theme that’s different from all the rest in that it puts a lot more emphasis on the center content that meets you square on with no sidebar distractions. You want your house clean and polished when you’re inviting guests. The same applies to your website. It has to be welcoming and needs to keep your visitors interested otherwise they’ll bounce just as quickly. 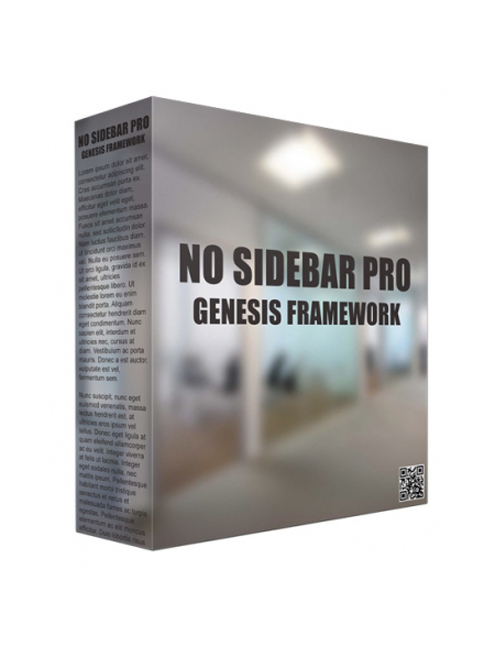 Sidebar Pro remedies that by igniting your authority and presence through a clean cut spacious layout that won’t be overpowering nor underwhelming but just right. Just like all themes available with Genesis, you need not worry about code, website optimization, security, or theme updates. That’s all covered. You simply build your content up with the power of No Sidebar Pro and enjoy the fruits of your labor. Many of the most successful blogs emphasize white space in order to provide nothing except the content that visitors are looking for. You get that option or the alternative option of jazzing it up with lovely colourful imagery. No Sidebar Pro is about giving you the power to make the choices you want with your web presence. Grab this amazing theme right now.